The Marisa Fabric 2-Seater Sofa is an elegant statement piece for your living room. The higher back and simple design makes this sofa super comfortable for lounging and suitable for all settings for home and office. 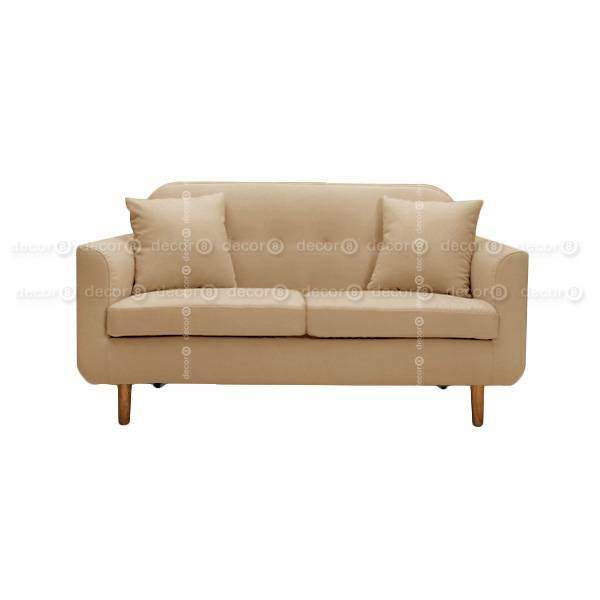 This sofa is also available in a 3-Seater and Lounge version. Check out the Marisa Fabric 3-Seater Sofa and Marisa Fabric Lounge Chair here. This sofa is made to order and ships in approximately 2 weeks. Cushions not included.